Simple message today. Not new, but important to repeat again and again and AGAIN. 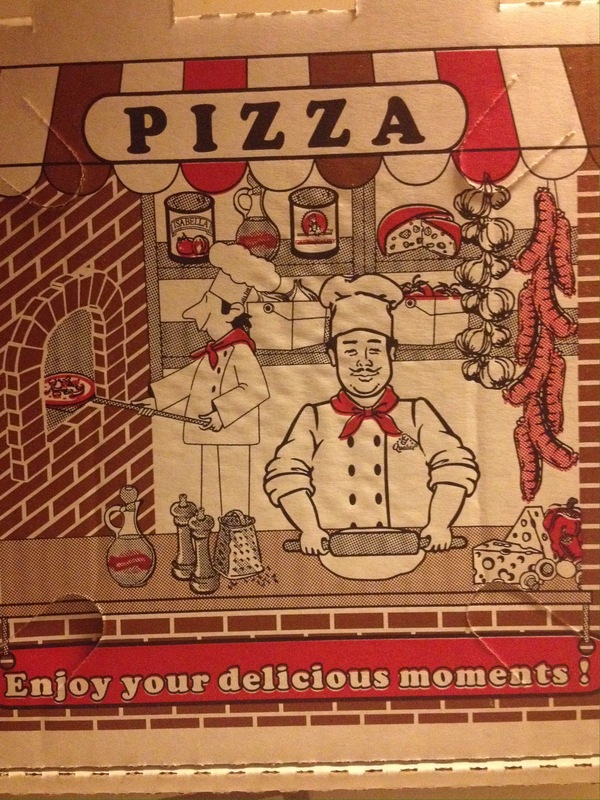 This version, this time, brought to you by a pizza box, of all things. Remember through all the hustle and bustle and set backs and challenges and obstacles and yes, even failures, find a moment (or more!) to enjoy every day. EVERY DAY. Find something to soak up the good from, no matter how small it might be — sometimes that’s all we get is a tidbit of joy, a little something that makes us smirk, smile, chuckle. I was delighted when the events of the day were fabulous, rather than labeling it a good day, I recognized that, as if being alive itself wasn’t cause to celebrate, I have some incredible fortune in the blessings that surround me. I like that, E: Long Live the Savor!